The world is an adventure calling for you to experience. It has been said that those who don’t travel read only one page of the book. Turn the page and decide where you’d like to experience next. Maybe you’re traveling to celebrate something , maybe you like checking out Conde Nast’s top 10 trendy spots, maybe you like being remote and anonymous in a foreign land or sharing your time with voluntourism. Travelers head out on their own traveling alone because others weren’t willing or able to join you, or you like taking advantage of the solitude that traveling in a group doesn’t offer. I write about traveling solo a lot because I’ve done so much of it. It’s a comfortable and exhilarating way to experience the world and ourselves. It’s almost selfish because I can plan out as much as I want or change on a whim, for weather, wildlife, or wonder. Solo travel continues to rise not only because safety is increasing and more locations are catering to soloists, but because travelers are not waiting for that perfect moment, they are creating it. If you’re having difficulty finding a travel partner to knock off your personal bucket list and match your passion for exploring, you can still find your way to beautiful destinations. 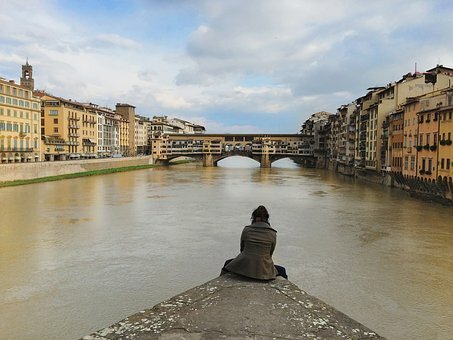 Check out these welcoming spots for single travelers. Australia is a great destination for those who are looking for a variety of adventures. Many women travel alone in this country. From sunny beaches and snorkeling, to the excitement of big cities, Australia has unlimited options for the solo traveler. You can rent a variety of rooms and private apartments there as well, which means you can save money and live quite comfortably while on your travels. Australians are know for the friendly, open demeanor and will be happy to show you around. Don’t forget to hit up Bondi Beach, the outback, the wildlife, and some mountaineering in their behemoth mountain ranges. Also attractive to solo travelers are Chiang Mai, Koh Samui, Phuket, Phi Phi Islands and Full Moon Festival in Ko Pha Ngan, you will meet people from around the world, with plenty of time to soak in the sun, and meditate on your inner self. Tanzania has many rich experiences that await the solo traveler. Going on a safari is a must, but there are many other great adventures – such as hiking Kilimanjaro. Easily find outfitters in Dar es Salaam, or on line if needed. Most places have many companies that offer group trips. You will find the people who live there very welcoming, and make you feel at home, including home stays with local tribes. From Tanzania you can hop over to Zanzibar for some relaxing on the small and idyllic paradise of whites sands and swaying palms that attracts visitors from around the world. Ireland is a fun country for the individual travelers. It’s normal for women to travel alone there and there is no language barrier to face which makes the journey a little more manageable. Even strangers are friendly, and those who are from Ireland will be happy to help you out if you need directions or ideas about what to do next. Take time to soak in the beautiful scenery that Ireland offers, and be sure to visit a few pubs while you are there, along with the coasts and festivals they so aptly love. So much culture abounds here, and if your looking to get lost in anonymity it is easily done in this bustling locale. Match up with some locals for a food tour or local bars, festivals, parties, and the other experiences to show you where the hot spots are. Spain is another place to visit where solo travelers are not out of place. Hotels generally give you a reasonable rate when traveling alone, which is not the case in all countries, plus this is a place of hostels and beach towns with plenty of affordable accommodations. Short and extended study vacations abound in Spain, so it is a great place to travel alone when learning is one of your goals. Cathedrals, culture, languages, and people from around the world are attracted to this beautiful country. Spain is one of my favorites and was glad to call it home for a while, living the local life, and making connections for a life time. Traveling alone is an experience that will help you learn more about yourself, become comfortable in your own skin, and gain a new confidence that will always stay with you. Consider trying at least one of the locations on the list if your desire is to soak in more of the world. Make it a priceless, unforgettable trip of a lifetime.